I just had to do it; I had to brag a little and, actually, it is just a little thing to brag about. 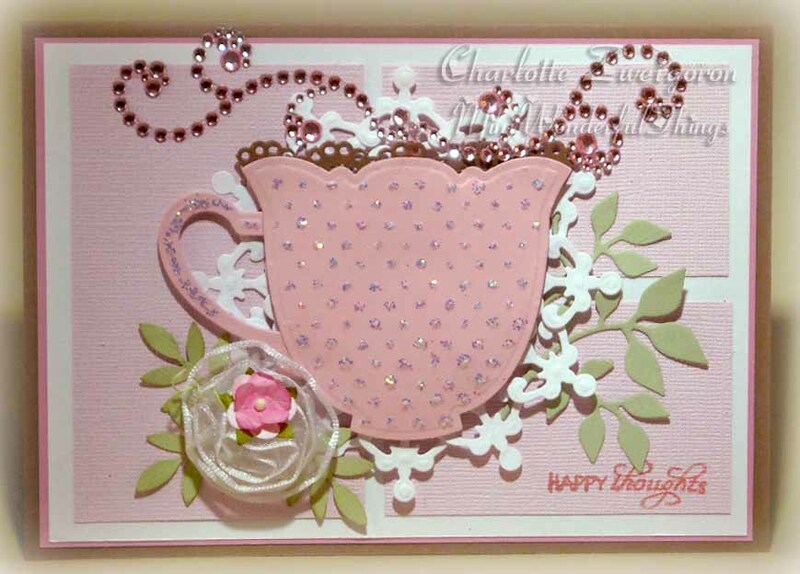 The Shabby Tea Room Challenge has 4 top winners (NOT a random drawing on this one) and 10 Honorable Mentions. I was one of the Honorable Mentions for the card shown here. Best of all, one of my all time favorite designers, Andrea Ewen, was also an Honorable Mention. To be on a list of creative talent with her is an even greater bit of excitement!! With talent like Andrea’s, you can see what I’m up against in the paper crafting world! 9 Responses to Bragging Rights! Congrats! Of course, I think all your creations are noteworthy. But I’m a little biased. Thanks! Hope I get to see you soon…. I had a difficult time posting my comment from yesterday’s card….but in essence it stated how much I loved it. Glad the judges agreed with THIS judge! love all ur cards my friend! Thanks, Miss Milu! You sure have gotten lots of beautiful new things on your site. I love what you sent. I actually plan to use some of it on fall holiday cards. Just the right colors! And now the crafting world can see what THEY’RE up against with YOU! A little JAWS music please….. I really love this card. Just look at all the flourishes you used to make it look like steam coming out of the cup. Great job Sis! Congrats on your lovely work of art! I didn’t see the winners, but it deserves more than just an honorable mention….. it is a true winner to me! There is the most slight possibility of a little prejudice here…. But who cares? Thanks! !